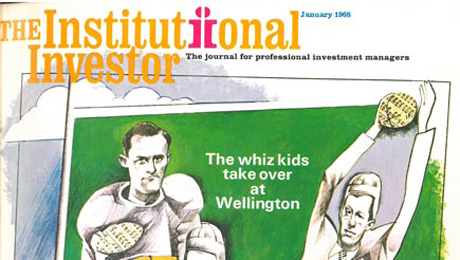 From the archive: The cover story from our January 1968 issue profiles Wellington Management Co. and a young John Bogle. In his new book, “Clash of the Cultures: Investment vs. Speculation,” John Bogle explains how, over the past several decades the fund industry has veered further and further off its original path of long term investing to a culture of short-term speculation. The consequences for investors, says Bogle, have been devastating. In a refreshing turnabout for a fund manager, Bogle points the first finger of blame at his own early mistakes while CEO of the Wellington Fund in the late 1960s, and shares his insights in a detailed case study. Bogle’s new book picks up the 1968 article left off. You can find an excerpt from Chapter 8, here. Maybe the earth didn't tremble under the old house off Rittenhouse Square in Philadelphia, and maybe the window panes didn't rattle. But a heady air of expectation was already mingling with the comfortable atmosphere of polished eighteenth-century furniture, paneling, and Persians carpets that day last spring when the four young men from Boston and their Philadelphia associate formally took over operation of Wellington Management Co. and its $2 billion Wellington Fund. It was about time too. The venerable fund, a pioneer in the mutual fund industry, had fallen seriously behind the breathless pace set by the performance funds that have been grabbing all the headlines. Worse, they'd been grabbing business. John C. Bogle, Wellington's bright. 38-year-old heir-presumptive was quick to recognize that despite its continuing prosperity, Wellington was going nowhere and would soon face enormous difficulties if it didn't do something fast. The four from Boston had built a tidy investment counseling business bearing their names—Thorndike, Doran, Paine & Lewis. Inc.—and they had also built a reputation managing the Ivest Fund. 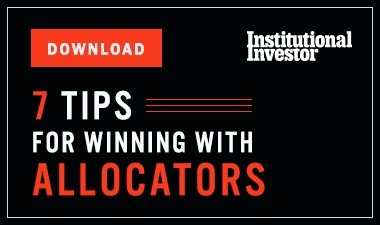 Putting together Wellington's vast assets, elegant reputation, and marketing ability and the Ivest group's research and investment management talents and the winning reputation of its fund seemed like an extremely felicitous combination. The grayer heads in the financial community may still be wondering what a bunch of kids are going to do with it all now that they have brought off the biggest generational invasion of the establishment yet. But as the pieces began melding into a new organization, 34-year-old Robert W. Doran, the youngest principal of the Boston group, wondered whether he was "losing touch with the young people in the business." His concern came through a smile but it was in earnest. And he and his associates were doing something about it. They put the job of examining the merger and defining its problems and alternatives in the hands of two of the youngest men on the staff, one a June 1967 graduate. And when they set out to recruit Harvard Business School students, they posed the problem of staying young to the candidates and wooed the one who had the best answers. The middle-age crisis comes early these days. The Wellington-Ivest merger shattered at least one precedent and has already altered the fundamental principle of management of a balanced mutual fund. The combination is probably the first acquisition of one fund management company by another (Ivest Inc., manager of the Ivest Fund, is now a wholly owned subsidiary of Wellington Management). But the real significance of the move is in the basic questions it has raised about the very nature of the terms "risk" and "balance." After all, Wellington was founded in 1928 with a balanced portfolio of common and preferred stocks and high-grade bonds, with the objective of providing investors with stability, income, and a little low-risk growth to keep pace with inflation. The idea was to run the fund to eliminate the risks of fluctuating earnings and market prices, both cyclical and short-run. Ivest, on the other hand, was establishing in 1961, in effect, to make the most of those very fluctuations that Wellington was originally designed to minimize. For years, the Wellington formula worked remarkably well. With its defensive balance, the organization managed to weather the Depression. When the end of World War II initiated the rapid expansion of the mutual fund industry, Wellington built a highly effective distribution organization that brought a torrent of new money into the fund almost every year. Even after Dreyfus and the other highly publicized and advertised performance funds shouldered their way into the market, Wellington's sales people continued to score substantial gains for a while. 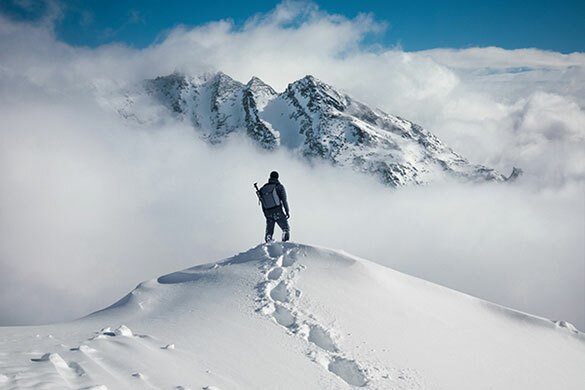 "After all,” as one broker put it, "as long as the salesmen keep writing new orders, and the assets keep climbing, management fees and earnings climb too, no matter how the hind is performing." By 1965, at the very time Wellington Management was having its biggest year in earnings, sales, and assets managed, Bogle says there was some sense that the company was not doing well enough. The share of marketof Wellington and the other dealer-distributed balanced funds declined from 23 percent in 1955 to 18 percent in 1964. (This year it is only five percent.) The drop was an obvious indication that something was indeed wrong, especially as the growth and so-called performance funds climbed from 21 percent of new sales in 1955 to more than 40 percent in 1964 and would grow to 64 percent in 1966. Wellington's attempt to create a common stock, capital gains fund of its own in the form of the Windsor Fund met with only modest success. Bogle says that he and Wellington founder and chairman Walter L. Morgan were well aware that the company was losing ground and needed a high-performance product to regain it. "Nobody Wants du Pont anymore"
"I was too conservative." says Morgan, now in semi-retirement as he approaches 70. "Nobody wants bonds, preferreds, du Pont anymore. The conservative pattern is temporarily out of fashion." But the prospect of Wellington setting up its own performance fund from scratch at that point was quickly eliminated from their plans. Wellington's research staff was not oriented to such an approach. Besides, investors want a record before they will buy. That would have taken years to produce. The answer then was clearly to acquire an existing fund that had research, management, and an impressive record. In Boston, the Ivest group had all of that, but it also had a problem of its own, a much happier one, it must be said. Its sales volume simply was not reflecting its enviable performance. The independent wholesaling organization that marketed its shares just wasn't big enough to sell effectively against the mounting competition. Ivest needed a big-time marketing organization,like Wellington had. The deal worked this way: Wellington Management acquired the Ivest companies and the four Boston men, W. Nicholas Thorndike, Doran, Stephen D. Paine, and George Lewis. They will eventually acquire 40 percent of Wellington Management's voting shares from Morgan while Bogle, who has since become president, will acquire 28 percent. 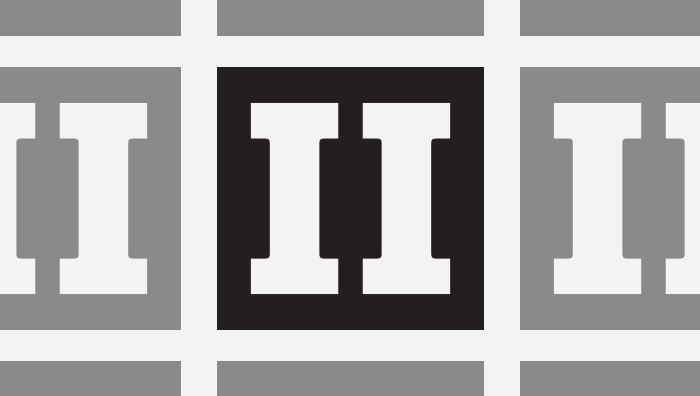 Wellington gets a hot research group deep with young investment management and analyst talent and Ivest gets the benefit of Wellington's prestigious name, its powerful distribution organization, and the administrative and marketing talents of John Bogle. The payoff came quickly. 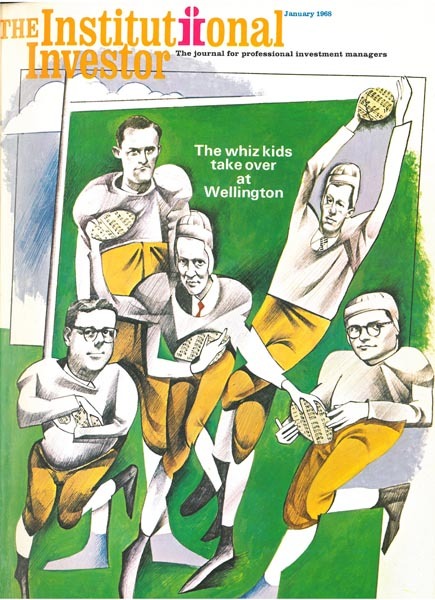 After a sales decline for Wellington Management from $168 million in 1965 to $151 million in 1966, the curve swung sharply up again in fiscal 1967, reaching to $180 million. The nature of the Wellington Fund changed considerably. Turnover, only about 15 percent in 1966, rose to around 25 percent this past year, and the proportion of common stocks, normally around 55 percent for a balanced fund, had reached about 70 percent by autumn and was rapidly being moved toward a range somewhere between 75 percent and 80 percent. Moreover, within its common portfolio. Wellington was more aggressive now. But the bulk of the Wellington group's sales success clearly derived from its acquisition of the Ivest Fund. Of Wellington's total sales in recent months, 70 percent has been in shares of Ivest. The assets of that fund have grown from about $35 million at the close of its 1968 fiscal year to $160 million at the close of the 1967 fiscal year. The tendency to see magical powers at work in certain styles of success is as endemic to Wall Street as it is to the most primitive societies. It is refreshing, therefore, to hear an Ivest man come down with both feet on the notion. Robert Doran recently noted that a basic conviction of the Ivest group is that theirs is a fallible art and that everyone will make occasional mistakes, sometimes egregious ones. Doran spoke of a man who chided "informed institutional investors" for selling Polaroid five days before the word came out of its big third-quarter earnings. "Someone should grab that guy,” he said in a rare indication, though not a display, of anger, "and tell him how hard this business is. Somebody always knows something you don't know. The amount of information is overwhelming. All you can do is profit from your mistakes and roll over them." Though the responsibility for management of the Ivest-Wellington group is spread among Bogle and the men from Boston, research and investment management policy is clearly directed from Boston. The basic form of communication for the entire organization is now what Ivest calls its "morning meeting," a telephone conference that links Boston, Philadelphia, and Ivest's counseling office in Atlanta every morning from ten past nine to a quarter to ten, with a taped version going out by air to its new counseling office in Los Angeles. Attendance at the meetings is "voluntary" and "required." And its format and subject matter are setting the tone for the investment style of the entire organization. The portfolio managers and analysts meet face to face and over the phones to review the previous day's transactions ("you know right away if they followed your recommendation") and to discuss some company, industry, or development, with a flexible agenda and no rules of order. Sentences may be left dangling, interrupted by another speaker, or completed by still another. A handful of companies is discussed over and over, IBM one day out of five ("you have to be blind or stupid not to know IBM”). Under such free-for-all circumstances, as one man put it, “You don't say stupid things. Your peers are your sharpest critics." The phone link is switched off promptly at nine-forty-five and the meeting is over. For the men in Boston, the meeting room is furnished in functional modern, with a row of Harvard chairs, and examples from Ivest's distinguished collection of contemporary paintings. But its occupants—portfolio managers and analysts alike—are all regarded as money managers. At Ivest, everybody is or was once an analyst, and everybody manages some money, including all the analysts. "An analyst is sharper if he steps up to the plate himself," says Doran, explaining this Ivest departure from the traditional policy of segregation of the crafts by the interposition of a committee. He thinks it makes an analyst better at his own job and a portfolio man a better counselor. But more than that, it provides more action for the analyst. "We've really attracted a star-studded cast," says Doran. By the beginning of next year, some of the Philadelphia analysts will begin managing money, and eventually all of them will. The analysts in Boston get more action from another source as well: concentration on a small number of companies instead of being spread thin over countless industries and companies. Ivest analysts do not cover some industries at all ("Why should our people follow cement or steel? We let the brokers’ analysts do that kind of thing for us"). In others, they may cover only one or a few companies. And occasionally, more than one analyst will cover a company ("we can't know enough about IBM, Corning. Avon, and companies like that"). As many as four analysts may be covering Xerox and IBM and three may be on Polaroid. The criteria need only be that the company is "interesting" and "successful." “The public thinks we made our record on stocks like RecognitionEquipment," says Doran. "But we really made it in fairly prosaic stuff like Merck, Bristol-Myers, and Corning Glass." He notes that Ivest's results with speculative securities have been no better than random. When Doran says Ivest is "a typical Boston group, very conservative," he means it in a very real sense. After all, to his generation, the recent rise of the beautifully managed, modern growth companies that Ivest favors reaches into the distant past. Fastening onto those companies would hardly appear to them as the innovation it was to men of Morgan's generation, schooled in a different era to run a different style of fund. The physical reshuffling of the two organizations is still being worked through, but major changes have already been made. Boston's trading is now all handled by Wellington's department in nearby Claymont, Delaware, while Philadelphia's research department is also being restructured to concentrate on those "interesting" and "successful” companies rather than remaining dispersed along traditional industrial lines. Philadelphia's investment management is now being supervised by Walter M. Cabot, 34-year-old nephew of eminent Bostonian Paul Cabot, who managed Harvard's money for years. Says Morgan, "We never could have got a man like Walter if it hadn't been for Nick Thorndike. I'm a Princeton man. You can't get a Harvard man from Boston to come to Philadelphia without that kind of help." With operating management divided between two cities, and with the resulting flying back and forth by the principals, one of Cabot's jobs is "keeping the channels open." Though Bogle has no investment responsibilities as chief executive, he is in charge of the company's marketing activities and of administration at the Philadelphia end. An intense, articulate man, Bogle affects a relaxed manner. Six years ago, when he was only 32, he had a heart attack, and he gave up tennis for golf and hardly smokes or drinks at all. But if he has slowed down in any other way, it is not apparent to an outsider. Like his boss, Bogle is a Princeton man. A native of Montclair, New Jersey, he attracted Morgan's attention in 1951 with a paper he wrote on mutual funds for an economic course. Morgan hired him, and Bogle worked his way into and up the organization. Despite his illness and the fact that he is a bit older—say two years—than the Boston people, his crew haircut and angular frame give him the look of a boy playing hard-driving executive. As far as he is concerned, the merger "worked better than anyone had expected." Doran, on the other hand, looks older and has little of the boy in him. Born in Boston, as were his three Ivest partners, he went to Yale and the Harvard Business School. But even before college, he and his prep school friend Nick Thorndike "always had it in the backs of our minds to do something together." At one time it was going to be real estate, but after both worked as analysts, the Ivest thing took shape. 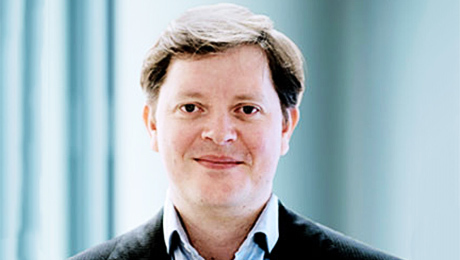 Doran is chairman of the company policy group on investments. Anybody here not Ivy League? Thorndike, whose principal area of responsibility is administration of the Ivest Fund, is a Lowell and a Harvard man. Before Ivest, he worked as an analyst for the Fidelity Fund management company and got an inside look at Jerry Tsai and some high-performance funds before he helped found his own. The Ivest art collection is Steve Paine's doing. Stricken with polio years ago, Paine became a connoisseur and collector of modern painting and sculpture. Paine also worked as an analyst for a counseling firm and now he focuses on Ivest's research group, selecting, developing, and evaluating the talent. Personnel and office management are the principal responsibilities of George Lewis. A member of the Saltonstall family, he worked as an account manager and analyst for Tucker Anthony & R. L. Day before he and his partners put Ivest together. Actually, the company began as an after-hours pool of the four. They put up $2,000 apiece, met for breakfast and dinner every day to plan and review their trades, and got some friends and relatives to put in some additional capital. Soon they ran into a problem. Since Doran and Paine worked for a counseling firm with a $150,000 minimum account size, when their own fund reached that size, they faced the choice of liquidating it or quitting their jobs and going on their own. It was the time when Jack Kennedy was running for President, and, like a lot of other young people, Doran recalls, they though it was a good time to make a move of their own. Trying to create a corporate structure with lines and boxes to hold the four of them has not been an easy job. Aside from the particular areas they have staked out, all of them have money-management responsibilities. And all four were "involved as entrepreneurs," Doran notes. He says they are now developing new working relationships, and, with Bogle, they each carry the title of managing director. They have, he says, "an extraordinary personal relationship” and he hopes they will be able to continue being "consensus oriented." As the newness works its way out of the new relationships, Wellington Management Co. has been transformed. From an essentially one-product company it has grown to a complex of financial services including a multi-product fund line (including three swap funds, a dual-purpose fund, and a brand new Explorer Fund, to invest in embryonic enterprises with long-term growth prospects, like New Horizons Fund does), a large and growing investment counseling firm, and the service units to support them all. What happens now, the Ivest people think, is largely a matter of whether they can stay fresh and young and continue to maintain a creative atmosphere for its eager young people. "Hire men more intelligent than you are," Doran has said, "and then hire people more intelligent than they." Such dedication is hard to understand in view of the circumstances of the Ivest group. All properly schooled Bostonians, they do not seem to be in it for walking-around money, though their financial rewards must be substantial. Nor is prestige a likely motive; for their first board of directors, they were able to muster a John Q. Adams, a Coolidge, and a Saltonstall. Though they are in no sense traditional Wall Street gambler-plungers, they must be in it for the game as much as for anything. Or, as Doran puts it, "It's a question of personal and professional pride to make that fund (Wellington) sing." Within five years, says Bogle, they want to be managing as much money outside the Wellington Fund as that fund has now. That means about a billion in the counseling business and another billion in the rest of the funds: Ivest, Winsor, and a couple not yet set up. Wellington is quite static now, with sales barely exceeding redemptions. But if the boys succeed in making it the hip fund among the squares, they may get it moving again. Walter Morgan says, "It has always had the respect of the dealers; now it is regaining their confidence." Meanwhile, long-range they are looking to a further expansion of financial services, possibly into insurance, oil participations, variable annuities, or anything else that might make sense in a portfolio. "Someday," says Doran, the ideal portfolio might include a Picasso painting, the rights to royalties on a new symphony, and shares in oil leases; common stocks may not even be the thing then." Doran makes it clear that he is not making a prediction, simply pointing out that no one knows for sure what financial services may be in the future. Right now the fellows are figuring out a way to become a dominant factor in the pension fund and endowment field, where the action already is.